Before I get started on the portrait of Richard Demarco, I’m creating 4 new paintings for the upcoming group exhibition at the excellent Limetree Gallery in February. They liked the west coast and Isle of Harris paintings in particular so I’ve returned to that theme but focussed more on the sea. 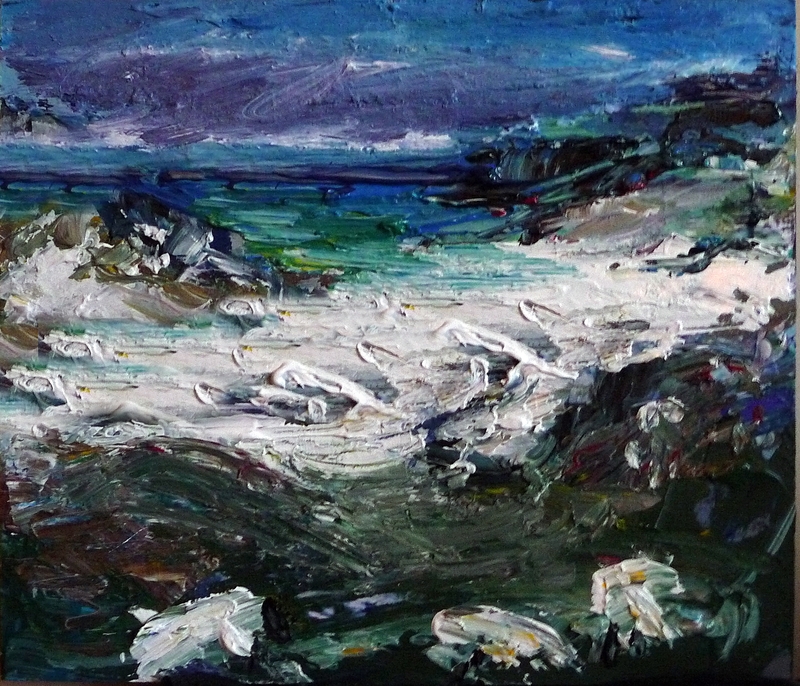 Since the light fades by about 3pm in Edinburgh just now these photos are a bit blurry, so I’ll re-post more tomorrow, also I’ll be painting the more rocky wild shores of the east coast of Harris. 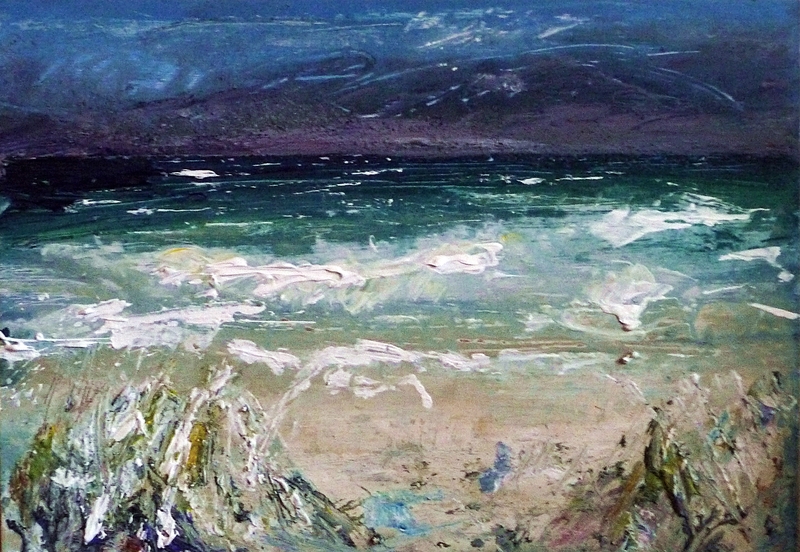 The two above (which need a bit more work) are of Luskentyre beach on the west coast of Harris. I was fairly loose with the brushwork, also the blues and greens are always a pleasure to work with – Prussian and Cerulean blue, Ultramarine mixed with Alizarin Crimson, Viridian green and lemon yellow, if you’re interested in such things! It’s undeniably upifting to paint these translucent colours against the white sand. As always I’ve chucked a bit of texture in there with sea salt, also some peat ash from my fire, the ash is warm beige/grey and a surprisingly good match for some more shaded aspects of the sand. This entry was posted in Uncategorized on January 9, 2018 by rosestrang.